Ask The Glitterwolf Anything at your own risk AMA. Hello victims fellow forumites! 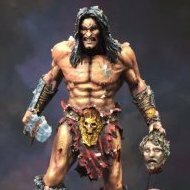 I decided to do an AMA thread of my own. Go ahead ask me everything. Serious questions get a serious answer or a silly one if I feel that it is more suitable and vice versa... I reserve the right to not answer certain questions.. Be aware of the different timezone...I might answer next day. 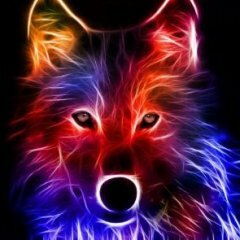 Ask the friendly wolf anything, I won't bite Pwomise!!! Anything I say can and will be used against you! Ask me anything. All the cool kids are doing it. I reserve the right to answer in-character, out-of-character, truthfully, fictionally, pull a brain-fart and miss your question, and/or to misquote you if it'll make the answer funnier. Besides, we've already seen the worst that can happen, right? 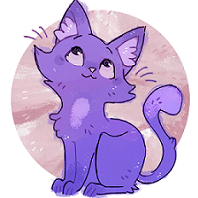 Ask the Purple Ninja Kitty ModBoot Anything! Okay - having looked through those other AMA threads I figured that would be a fun thing. So ask me :-D aaah! one rule though: I might not answer if ... it gets too private ... too far into my job ... I don't understand the question. Engage! Sooo...these look like fun. So Mouse is doing one! Yay! Now ask me stuff, please? *BONK! * is here to answer your questions and give badmost excellent advice. Disclaimer: Not responsible for incidents, accidents, disability, dismemberments, bite marks, lumps on heads, death, random bits of cat fur or mummy wrappings, or monetary loss for following the advice of a mummified cat plush toy. *trudges into his own cave again and invites guests to come ask him questions of any kind* Welp, I've been kicked out of the Goblin Cave now have new digs, feel free to ask me whatever you like.